It’s Memorial Day, which is the one day we set aside each year to think of and thank those who gave their lives for our country and freedoms. But it’s one day. Really, every day should be Memorial Day. We take an awful lot for granted in the US and unfortunately, the sacrifice that countless thousands of soldiers have made is on the list. It shouldn’t be. So even though there is a difference between Memorial Day and Veteran’s Day, be sure to show love and respect for the service members in your life who are actually still around. 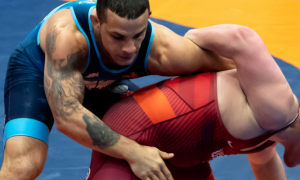 It was a quiet weekend in terms of Greco Roman competition around these parts, but it is more like a calm before the storm kind of thing. The next few months are going to pick up in a hurry and it will all probably wind up seeming like a blur. That makes this week’s Monday Roundup more cut-out to look ahead than back for once. 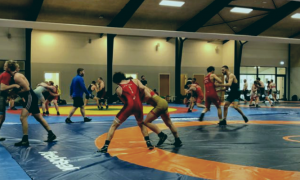 The US Greco Roman Olympic Team is back in Colorado Springs following their week-long camp in Concord, California. 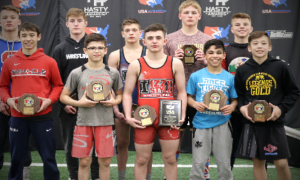 The training camp, which took place at the Community Youth Center run by Marc Halvorson, marked the first unified leg of preparation for the wrestlers heading into the summer. It was also where the Junior Greco World Duals took place. The Olympic athletes are going to now spend the next week and change at the OTC where they will continue with their base conditioning and strength training activities. And then on June 11th, the crew will be jumping on a plane to Azerbaijan where they will get back after it again for another three weeks. 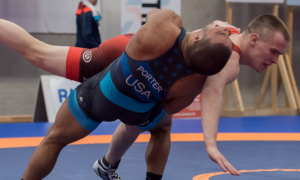 The camp in Azerbaijan will include the US, the host country, and athletes from other nations in what is a more wrestling-based camp for everyone to sharpen up. 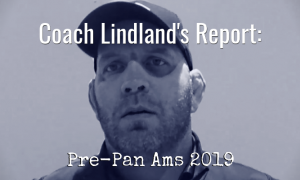 US Greco Roman head coach Matt Lindland also hopes to take a few up-and-coming National Team members along for the ride to get them some added international experience. 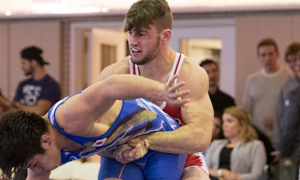 The University and Cadet Nationals begin June 2nd at the University of Akron and should be quite a show. On the University side, it is expected that a big chunk of the roster from the Olympic Training Site will be competing, so it’s a good opportunity to check out the rising stars who call that program home. But the tournament isn’t just a showcase for the NMU boys, as wrestlers from around the country will also be filling up the mats. Also, the event doubles as the University World Team Trials, raising the stakes even further. The Superior International Camp begins following the University Nationals at the Olympic Training Site on the campus of Northern Michigan. 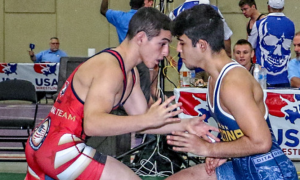 Taking place from June 5th to the 12th (including two travel days), the Superior Camp is an outstanding opportunity for Cadet and Junior Greco wrestlers to gain valuable insights on technique, drilling, and conditioning from NMU coaches Rob Hermann and Aghasi Manukyan. The final two days of the camp will be all about competition, so everyone who attends is guaranteed their share of matches. 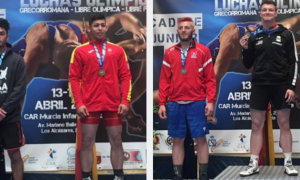 Plus, those athletes who are interested in pursuing Greco Roman wrestling into their college years will get a nice dose of what could be awaiting them further down the line. We debuted our new “Memorable Matches” category on the site over the weekend, although it’s really not so “new.” This had been planned for a while but with tournament season for all age-group levels hitting full steam, now seemed like the right time to finally break it out. We started things off with Cheney Haight simply because this is a dude who knows what it’s like to walk through the fire. Haight got a quick jump on his competitive career years ago and experienced more than a few moments that are hard to forget. He hit a rough patch in 2012 and left the sport for a couple of years, but has been back for a little while now and it’s great to see such a hard-nosed and talented athlete motivated again. Although “Memorable Matches” is intended to a be weekly feature, we’re dropping another one right out of the gate tomorrow – former US National Team member and current Navy assistant coach Nate Engel. Even in retirement, Engel is still a popular figure and has been rising up the coaching ranks on the national level. But when he was active, Nate was as mean and dedicated of a competitor as you’ll ever come across. And while he has tons of great stories to tell, his “memorable match” is one of his very best, so make sure you catch that when it hits in the morning. The families of both Jesse Thielke (59 kg) and Ben Provisor (85 kg) are in need of help and you could be there to provide it. Everyone knows that US Olympians often struggle when it comes to finances despite being professional athletes. It’s just how things are. There’s not enough money to go around, especially when it comes to getting their loved ones to be there in person at the Olympics. It doesn’t matter if you can only afford to donate very little or if you have the flex to throw in a whole lot – any amount is appreciated. If you have can swing it, please support the cause. Having their families there does make a difference to these wrestlers, specifically when talking about the zenith of athletic competition.